This soft toy is machine washable and can be tumble dried on a low setting. Dimensions: 24cm from feet to top of ears. 18cm from bottom to top of ears. Best Years are a soft toy manufacturer based in the UK. All of our knitted baby toys are available to wholesale, retailers and museum customers. 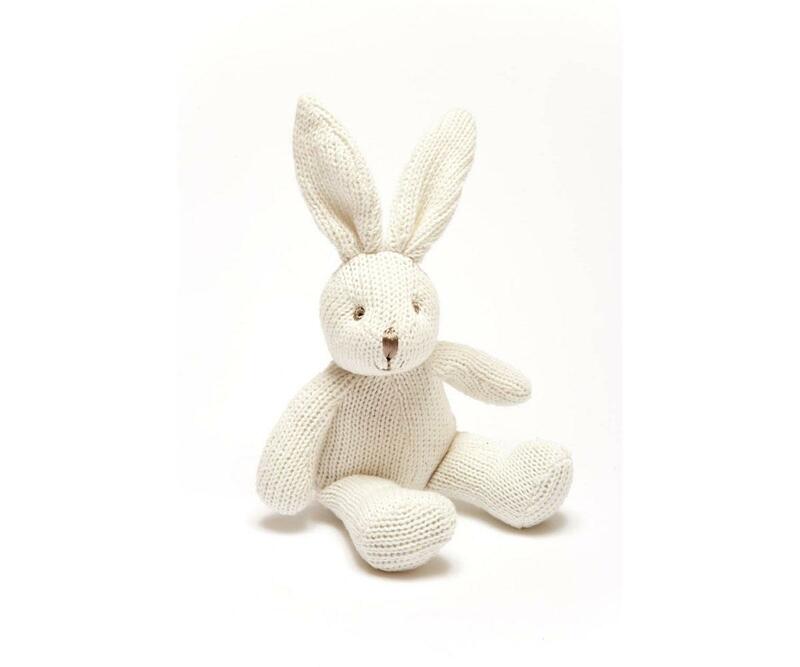 Who makes our white bunny rattles? Our bunny soft toys are ethically sourced from China.